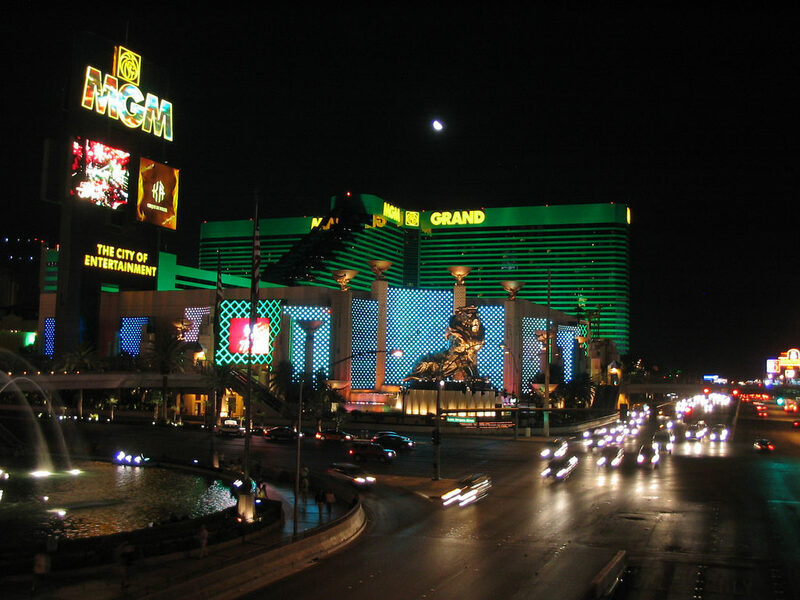 The grand conference center is the largest exhibiting center at the MGM Grand. With 380,000 square feet of exhibiting space available located on three levels. This location boasts two large sized ballrooms and a ton of meeting space available. The location also has a business center located on the first floor and loading docks. For a comprehensive floor plan of the conference center look here. The Marquee Ballroom is the largest ballroom within the MGM Grand convention center. This 90,000 square foot facility offers ample room for conventions and tradeshows. The facility also offers top-notch business and catering services. For more information on ballroom, layout look here. 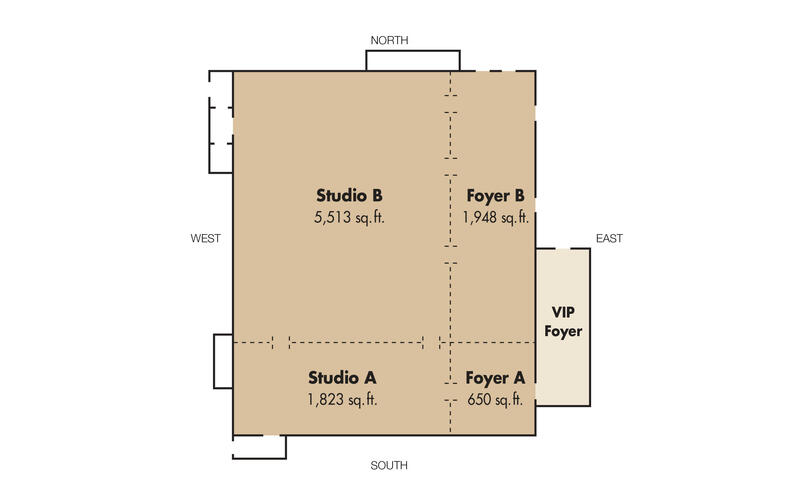 The Studio Ballroom is centrally located within the convention center. With 10,000 square feet and the ability to hold up to 900 people, the ballroom is great meeting space. The location also has a VIP area for more private meeting spaces. 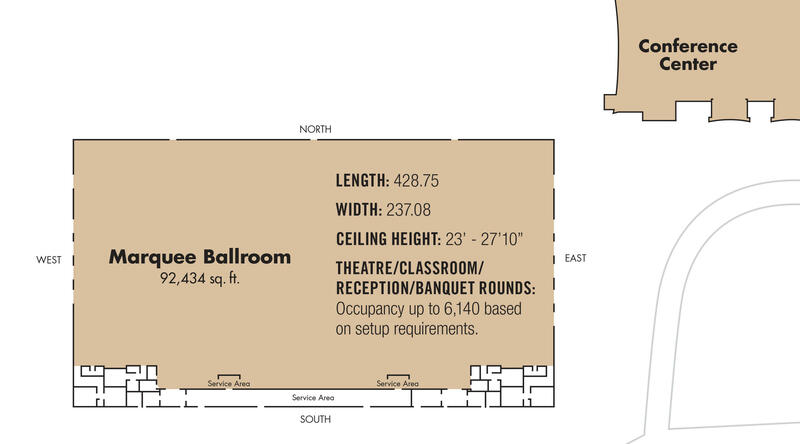 For the ballroom, floor plans look here. The second largest area within the convention center is the Grand Garden Arena. This facility is 100,000 square feet and can hold up to 17,000 people. The facility can also be transformed into an exhibit hall within a 45-minute window. For the Grand Garden Arena, floor plan look here. If you are planning on exhibiting at an event being hosted at the MGM Grande, reach out to us today for more information on how we can help. Learn more about other venues in Las Vegas: Wynn, Westgate, Caesars Palace, Las Vegas Marriott, Las Vegas Convention Center, Mirage, Sands Expo & Convention Center, and Mandalay Bay.